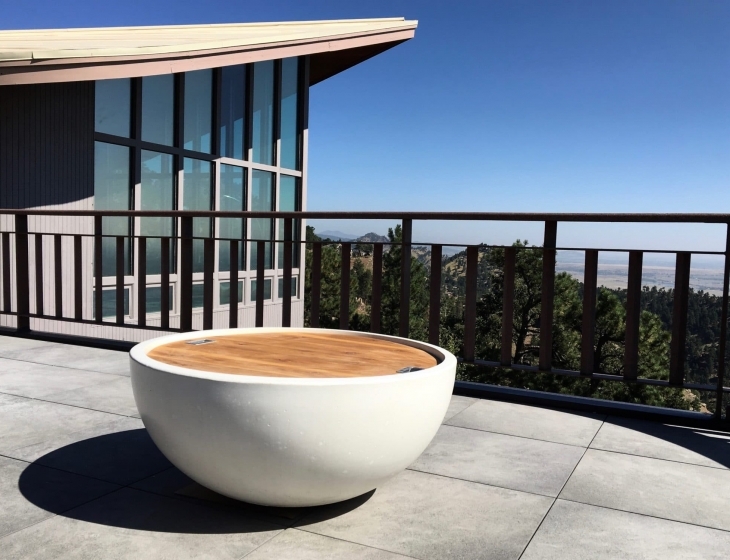 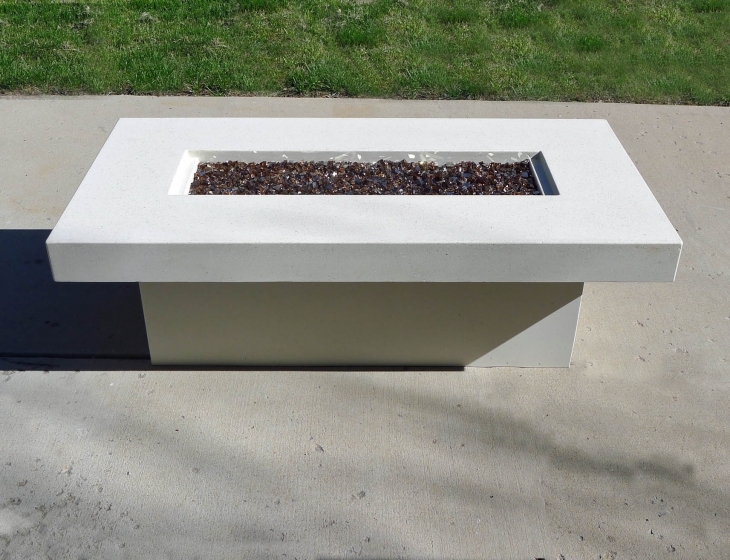 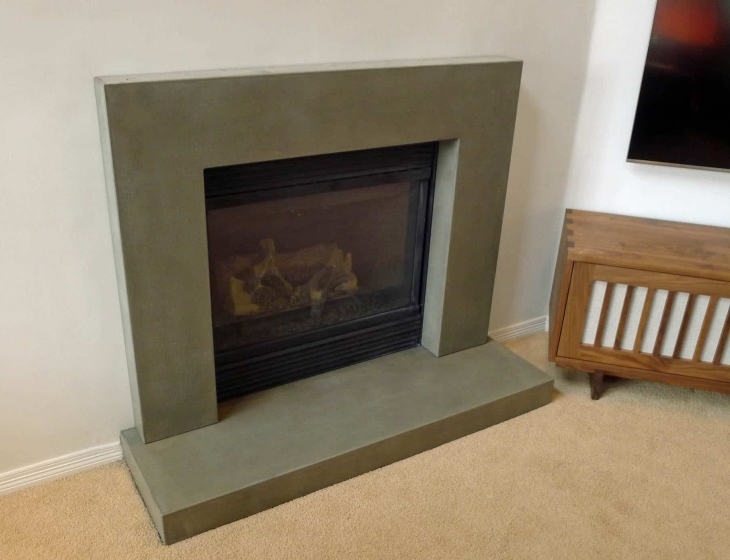 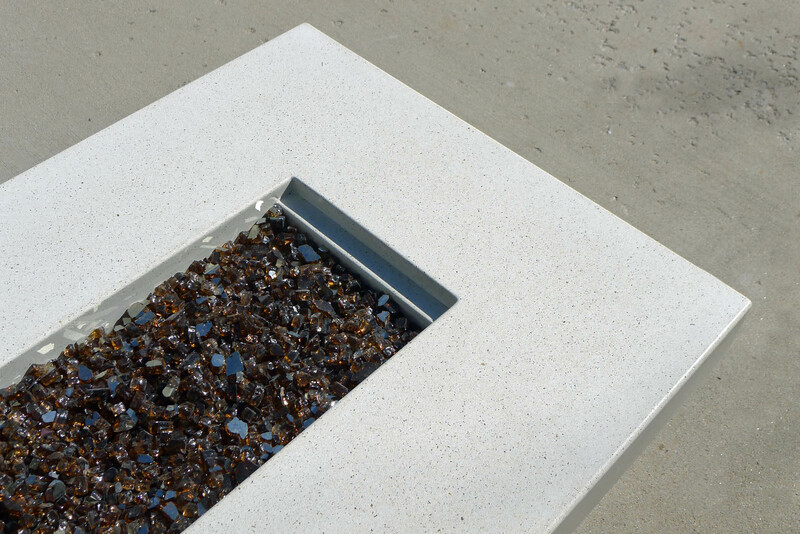 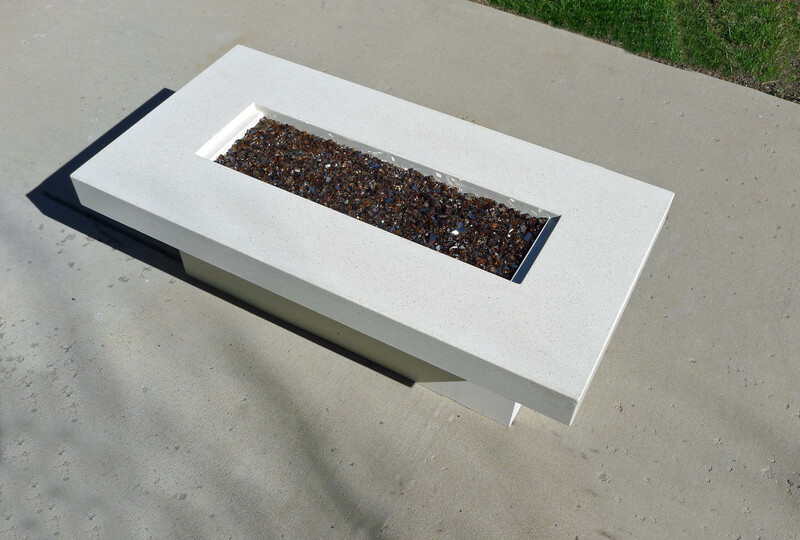 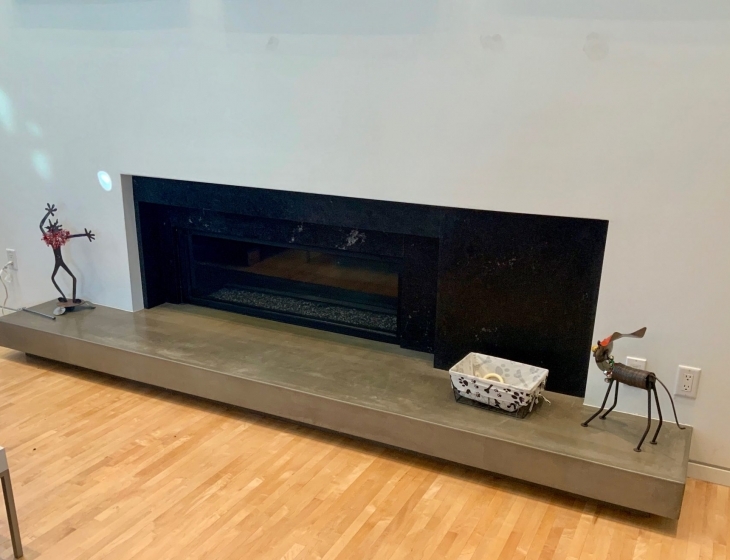 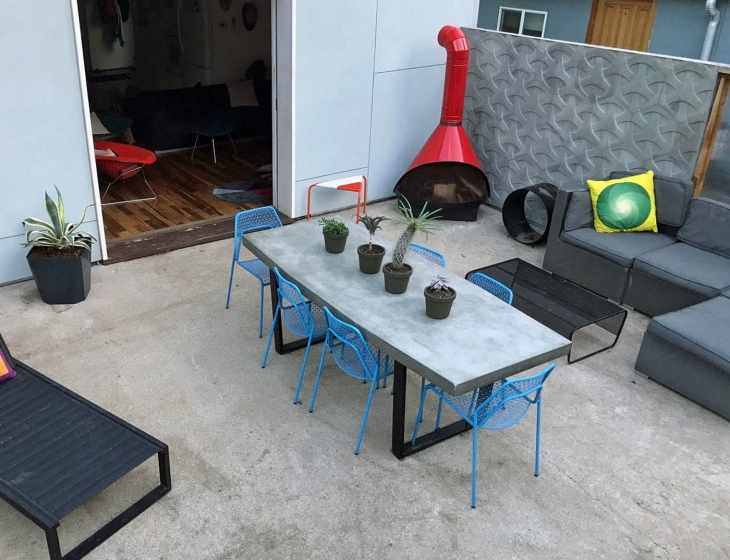 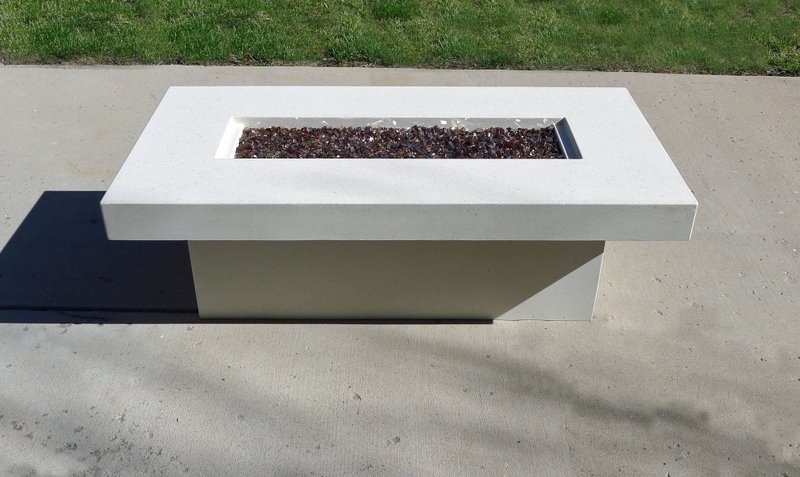 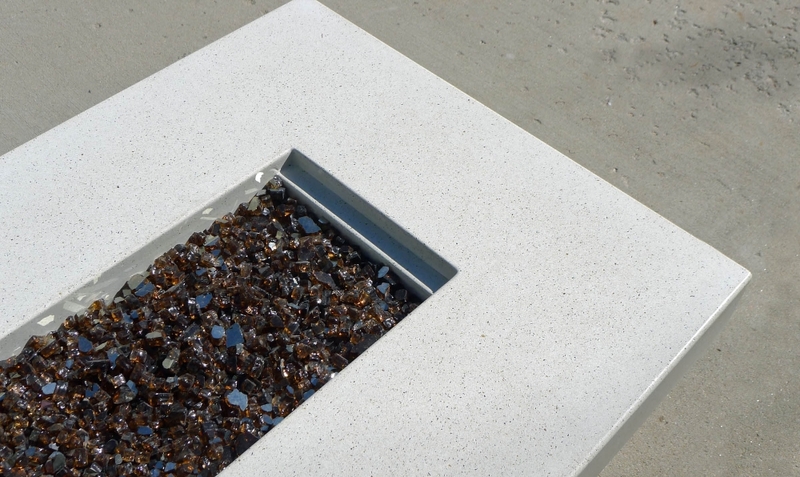 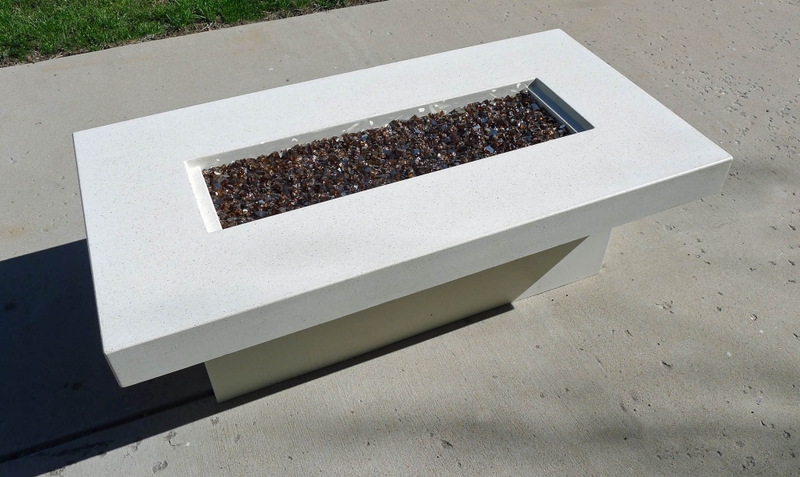 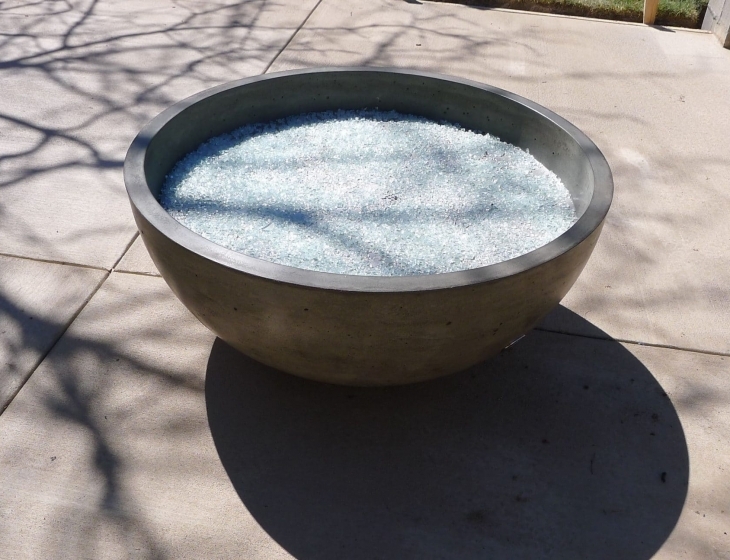 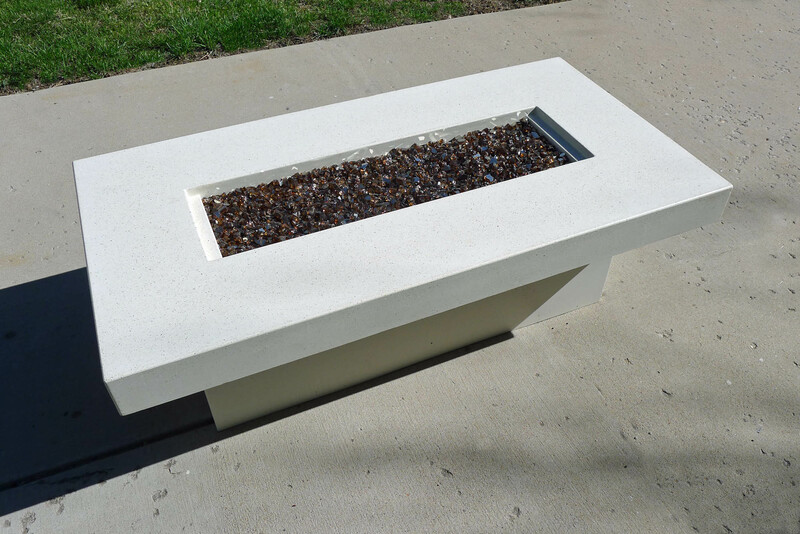 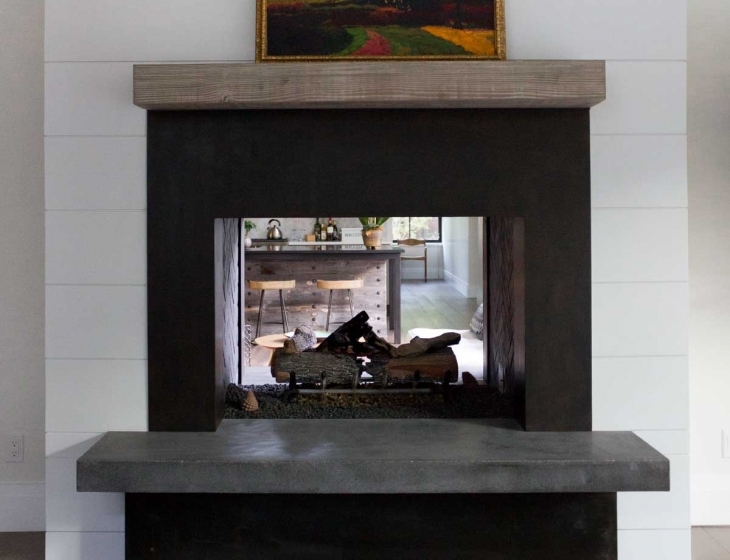 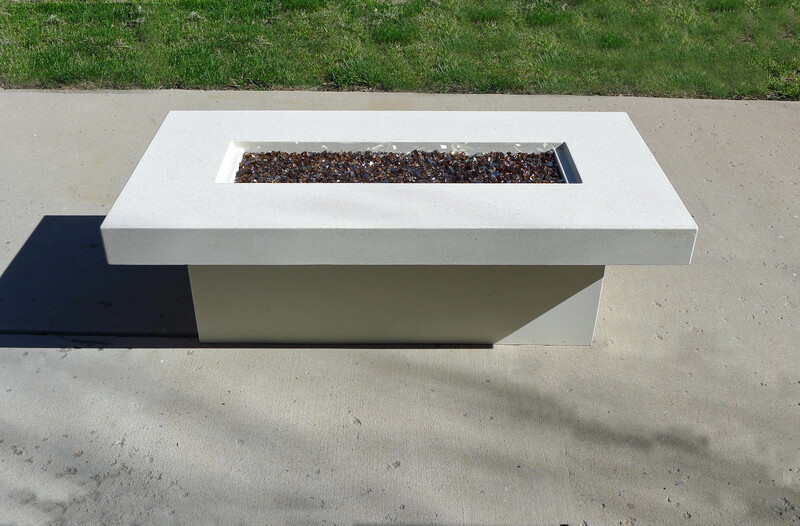 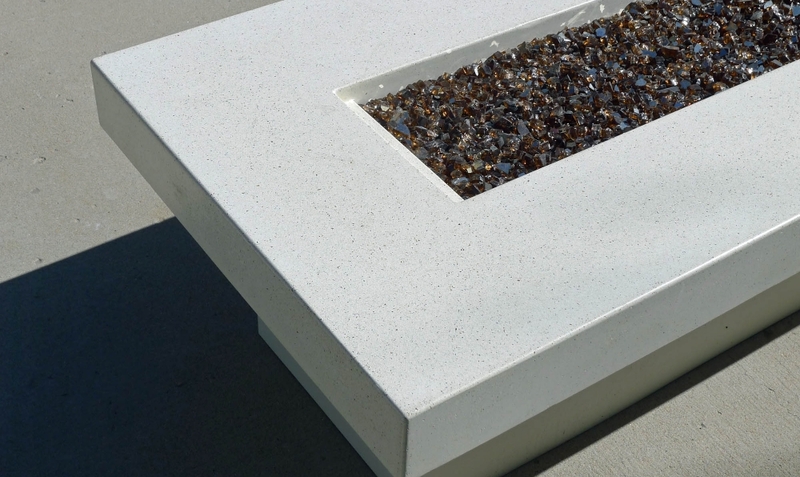 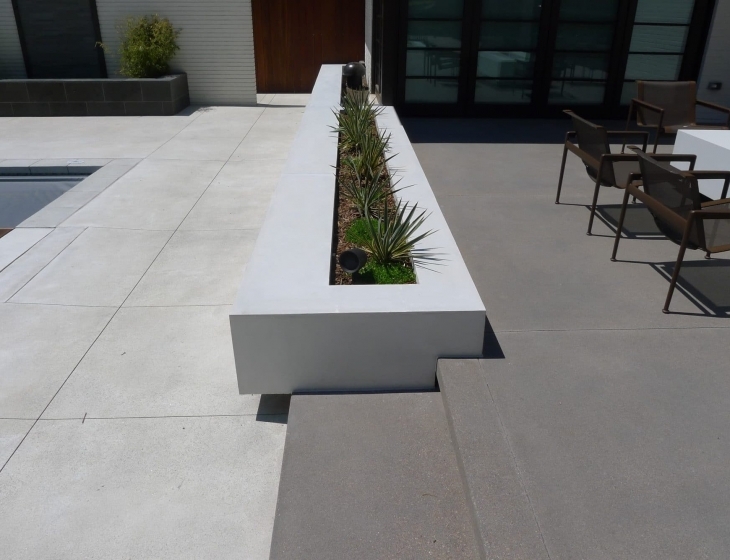 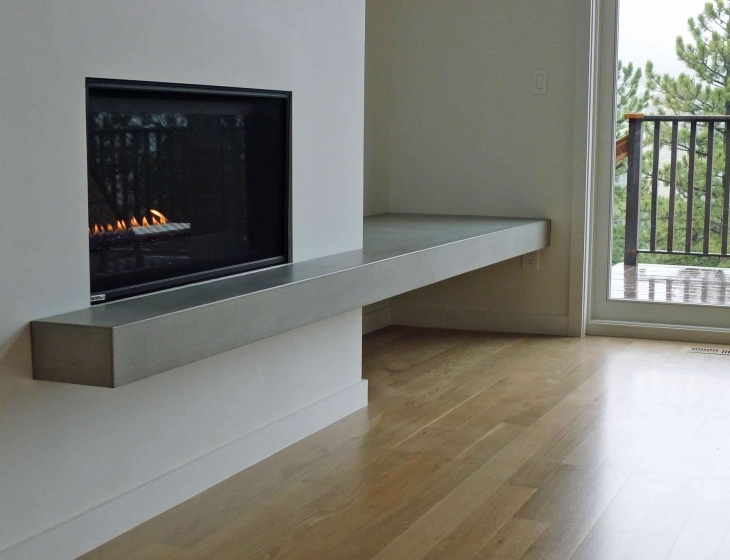 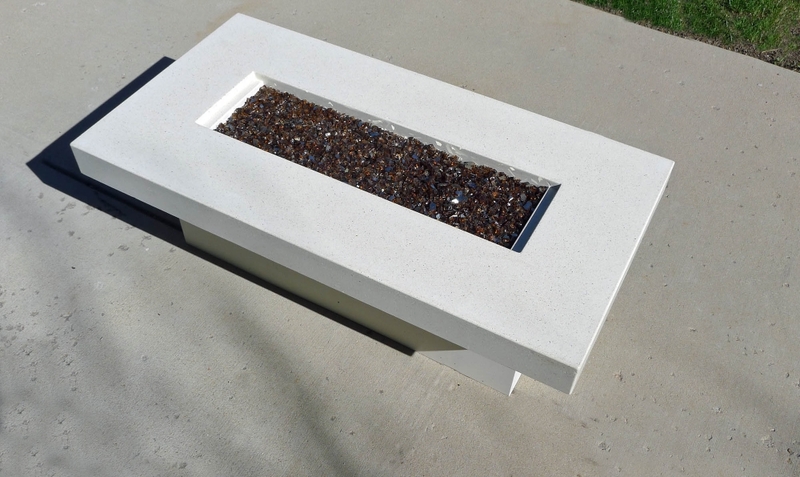 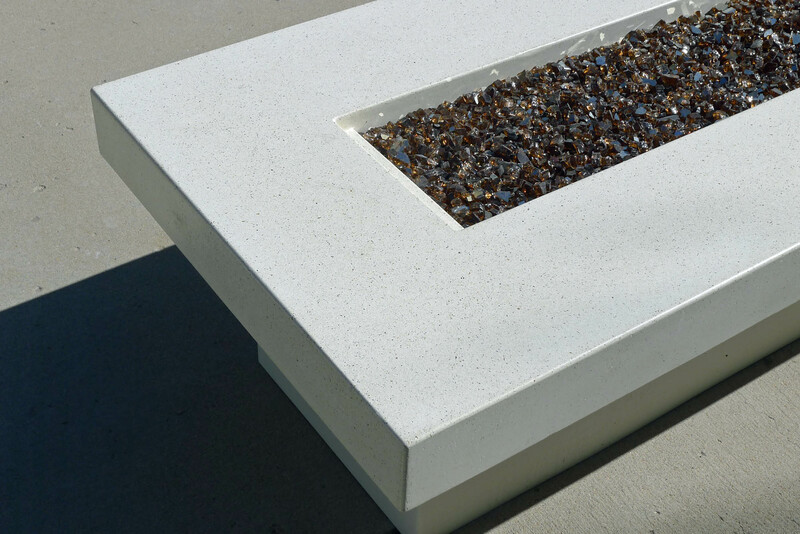 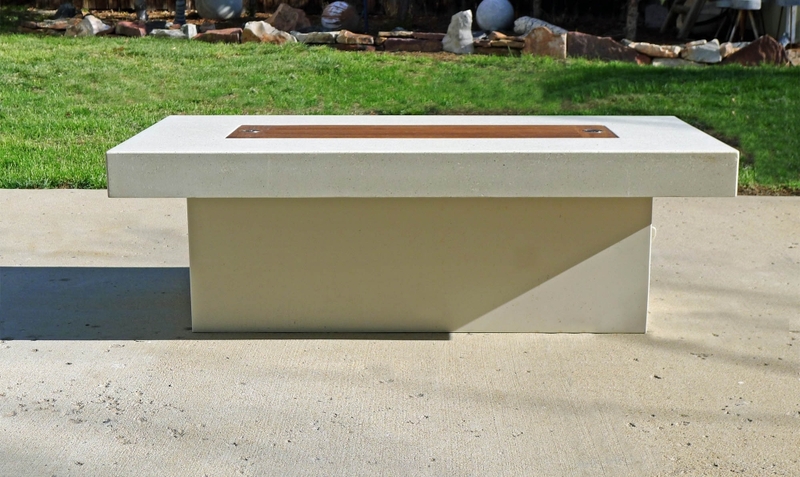 Concrete is cast in a custom color match to the Benjamin Moore color ‘Navajo White’ and is polished to show the custom blend of amber and black glass aggregate. 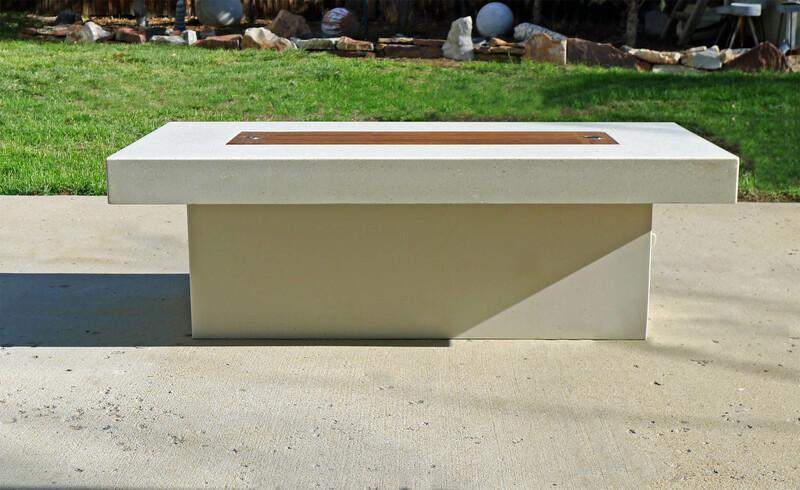 The media in the burner is ‘copper’ colored glass. 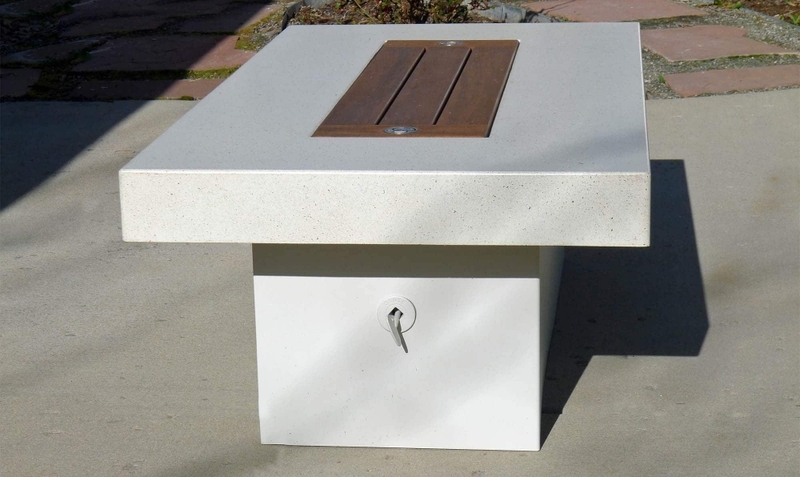 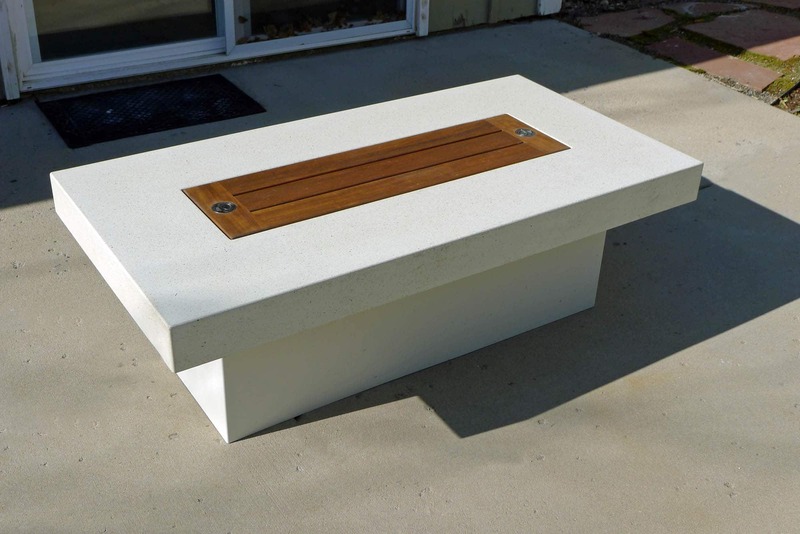 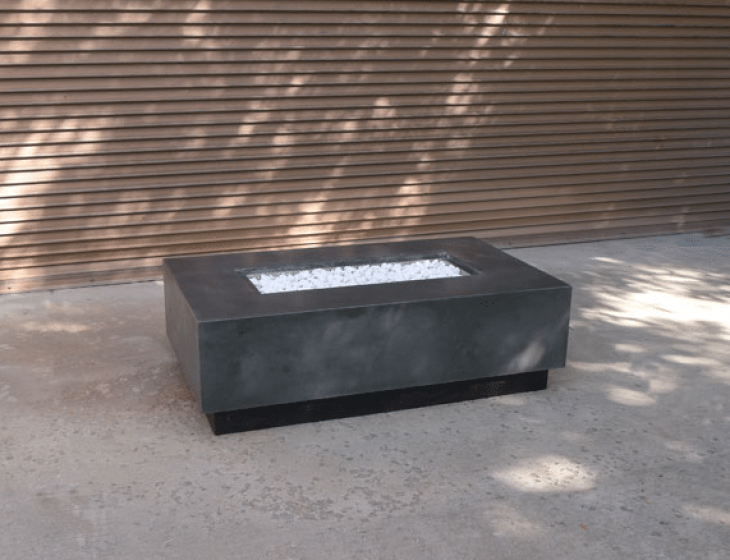 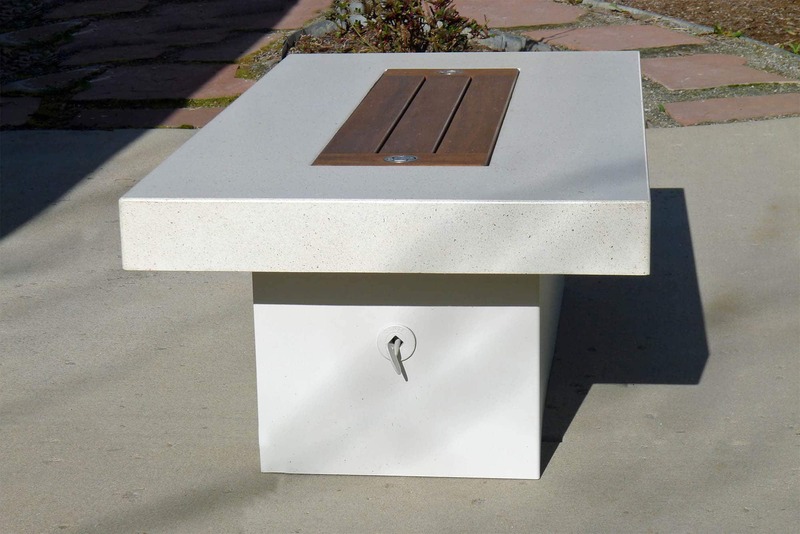 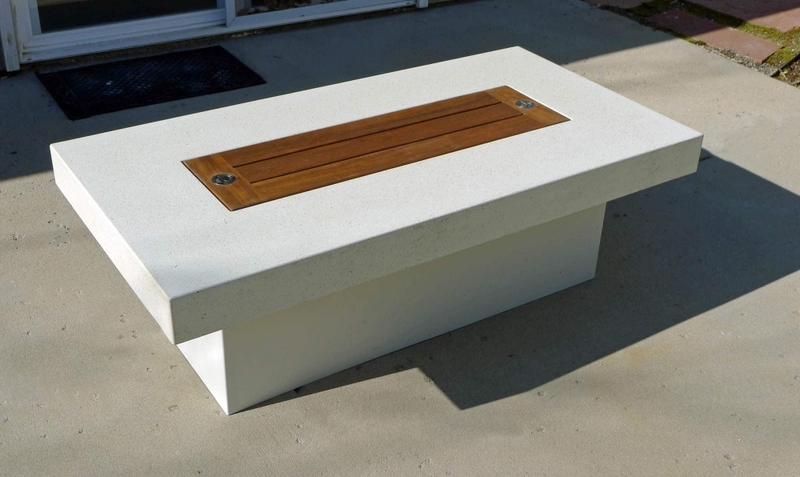 The teak burner cover is lifted by flush mount, marine-grade, stainless steel handles.